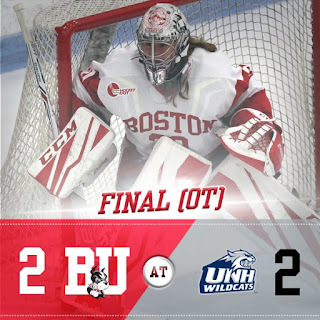 Following their 0-1-1 weekend, Terriers dropped to #12 in the USCHO Weekly Poll and to #11 in the USA Today/IUSA Hockey Magazine weekly poll . Sophomore Dante Fabbro (photo) and Freshman Ty Amonte were named to Hockey East’s Weekly Top Performers List. Fabbro scored the tying goal in the third period of Friday’s 4-3 loss to Denver and Amonte tallied his first collegiate goal in that game. Nick and Lauren Bonino punked the Predators, posing as autograph-seekers. 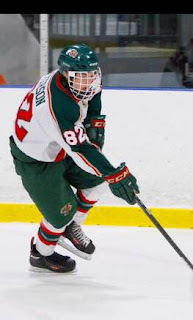 The preliminary list of candidates for the 2018 HockeyNow Minor Hockey Players of the Year includes 2020 recruit Donovan Sebrango of CIHA among 10 candidates from Ontario. Kevin Shattenkirk assisted on the game-winning goal as the Rangers rallied for four third-period goals and beat Las Vegas, 6-4. A display of Clayton Keller's brilliance produced the overtime game-winner that gave Arizona its first win of the season, 4-3 against Philadelphia. The play began with a D-zone pass and ended with a pass for a one-timer. Former Terrier captain and All-American Jay Pandolfo recalls the opening of the Prudential Center in Newark ten years ago and his only NHL hat trick, scored in the second game in that arena. Terrier fans will recall his 38-goal senior season (1995-96) that included multiple hat tricks, including a short-handed hat trick vs. Northeastern. Pandolfo is in his second season as a Bruins assistant coach. Former Terrier co-captain John McCarthy scored his first goal of the season as AHL San Jose fell to Texas, 3-2. McCarthy is captain of the Barracuda. 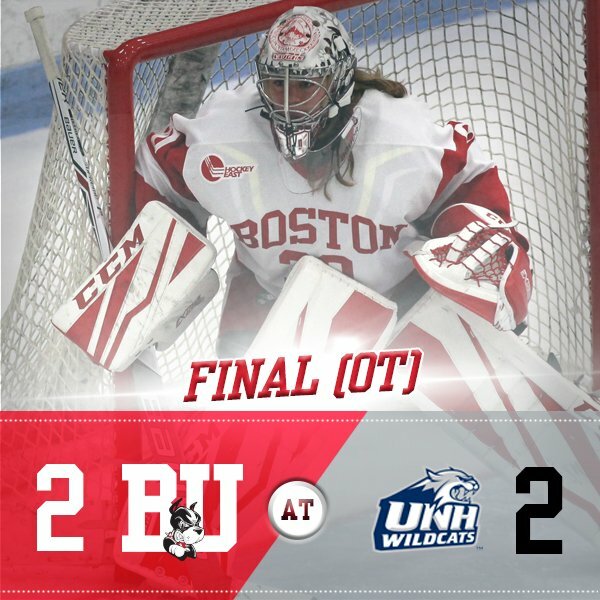 Behind 42 saves by freshman goalie Corinne Schroeder and goals by senior Victor Bach and freshman Kristina Schuler, BU skated to a 2-2 tie with New Hampshire at the Whittemore Center Sunday afternoon.